Since 1870 we at Fay Brothers are proud to say we are a family owned funeral service. The Fay's span six generations of funeral service and continue to provide personalized and compassionate care to all the families who entrust us with their funeral needs. Our experienced and dedicated staff can guide you to choose the service appropriate to suit your wishes and to provide a meaningful service for your loved one. We have three locations in central Massachusetts. 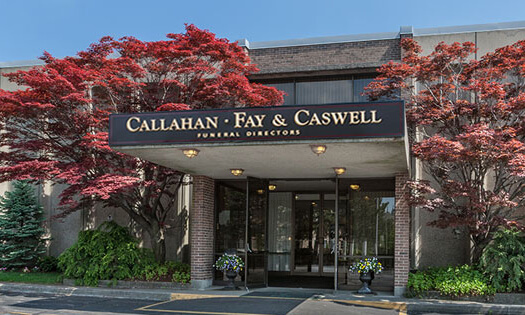 Callahan, Fay and Caswell Funeral Home and Lindquist Funeral home are located in Worcester. Fay Brothers Funeral Home is located in West Boylston. We are available at all our locations seven days a week, should you have questions about planning or pre-planning a funeral service. © 2018 Callahan-Fay-Caswell Funeral Home. All Rights Reserved. Designed by Life Celebration Inc.